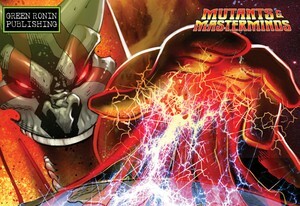 Need a destroyer of worlds in your Mutants & Masterminds games? Well "The Devourer" is here to help you! This epically bassy SoundSet is pumped full of interstellar catastrophe of the highest order. Send a probe in to investigate, I'm sure everything will turn out just fine! This SoundSet was imagined, compiled, designed, created, mixed and finished by Benjamin Loomes of www.syrinscape.com.